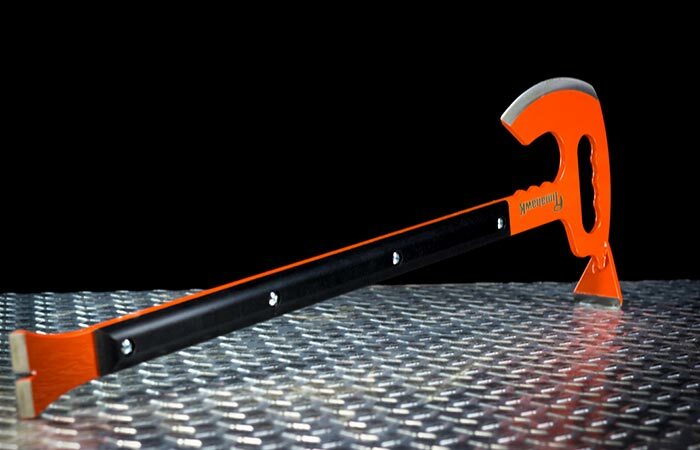 We all know that if there is one necessity that you absolutely need for camping or in your bug out bag, it’s an axe. Be it that you are simply going on a camping trip, or that you simply need a decent axe for these winter months, we have just what you need. It’s not just an axe though, but we are proud to introduce the Timahawk Survival Axe. Essentially, the Timahawk is, as the name suggests, a survival axe. But it is also so much more than that. 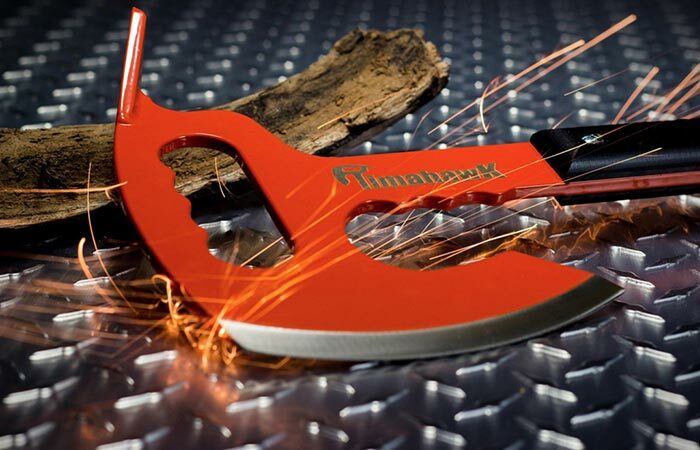 More of a multi-tool with an awesome axe blade, the Timahawk can handle any job that you can throw at it. The Timahawk comes complete with an axe edge, a pry bar at the bottom and an adze hammer at the top. It also features easy carry handles and grips. The Timahawk is basically an all-in-one survival tool. Apart from the super sharp axe blade, the Timahawk also functions as a crow bar and an adze hammer. It also gives you numerous ways of chopping, prying, slicing, cutting and hammering. Check out the video below. The Timahawk is constructed entirely out of 4130 hardened chromoly steel. This steel is known for its superb toughness. The axe head has been heat treated to keep its durability and its edge. The handles are constructed out of G10 that are both water and weather resistant. They have also been bolted to the shaft with hardened steel bolts. The Timahawk has been constructed out of 4130 Chromoly steel. The entire axe head has also been heat treated for durability and to keep the axe’s edge. In addition to this, the Timahawk also features two hand grip points: one for the bottom pry bar and one for close work with the axe blade. It is also proudly made in the USA. The Timahawk is 27” in length and weighs 4 pounds, for that awesome crushing power.